A central theme of the publication is insect migration, but all subjects relevant to British Lepidoptera and Odonata are covered, including conservation, identification, biology, field observations and material on Western Palearctic species of relevance to Britain.The varied content is a mixture of in-depth articles and lighter features, written by both professionals and amateurs.The editorial team contains some of the top names in British entomology; all are dedicated enthusiasts. 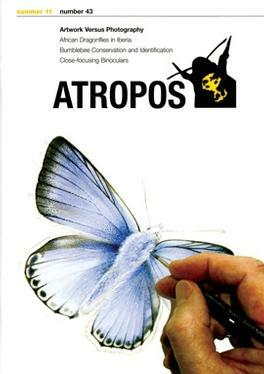 Atropos is published three times a year: spring, summer/autumn and winter.Each issue contains eight colour plates featuring topical insects, identification shots and habitats. Occasional specimen plates are included to illustrate identification articles. Be the first person to tell us what you think about Atropos and you'll save £2.50 on your next purchase!